One of the main reasons people cannot save enough money for their retirement dreams and financial goals is because they apply or succumb to too many credit offers. To make matters even worse, credit card marketers make it incredibly easy apply for new credit. The temptation is waiting for you after you get home from work when you open your mail. There, you see those five words that seemingly reel you in like a fish on a big lure, “Congratulations! You Are Pre-Approved!” You almost feel like you have won the lottery. It should be no surprise that people get caught up in owing more than they can spend! As a result, people end up with too much credit. Logic tells you that you do not need as much credit as card issuing companies will give. The same is true for your home mortgage. You do not have to borrow the entire amount you qualify for. The average American carries four credit cards in his or her wallet which can include gas cards, department store cards, and the standards such as Visa, MasterCard, Discover Card, or American Express. Four cards could be sufficient or even more than enough, but a large amount of people carry far more cards than just that average of four. Unfortunately, carrying a lot of credit sets you up for buying impulsively. People spend 12-18% more when using credit cards than when using cash. McDonald’s found that the average purchase rose from $4.50 to $7.00 when customers were allowed to use plastic instead of cash in its restaurants. 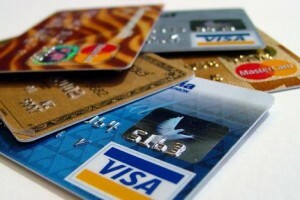 Research shows that people spend more using credit cards even when they pay off the balance every month. In addition, if you apply for a loan, you will be seen as more of a potential risk by a lender as the amount of open lines of credit you possess is an indicator of how deep you could possibly fall into debt. Therefore, you may not be able to borrow as much or receive as good of an interest rate as someone who carries less credit. Credit card marketers like to target people and promote credit in such venues as sporting events, concerts, and universities. To someone who is not experienced with credit and how their credit report is calculated, credit card offers may seem to be innocent enough. However, that harmless credit offer that includes a freebie, such as a coffee mug in the deal or free round trip airfare, may be far more expensive than you initially think on down the road. Save yourself from any future financial hardship and purchase a mug instead. Having too much available credit can be dangerous. If you do not adequately budget your money or watch what you pay, it can be very easy to fall into the clutches of credit card companies. Avoid falling into certain credit traps and help you stay out of debt and continue building wealth.